The aim of these grants is to support the development and ability of private, nonprofit community-based housing and community development organizations, and low income rural communities to improve housing, community facilities, community and economic development projects in rural areas. Supports the creation or improvement of cooperative development centers that help start, enhance, or expand rural businesses, especially cooperatives. Supports planning activities, such as business plan development, and provide working capital for value-added processing and marketing which helps farmers and ranchers receive a higher portion of the retail dollar. Specific funds are available for projects that focus on local and regional supply networks and support beginning farmers and ranchers, socially disadvantaged farmers and ranchers, and small- or medium-sized farms and ranches. Provides loan guarantees and grants to agricultural producers and small businesses in rural areas to purchase, install, and construct renewable energy systems; make energy efficiency improvements to non-residential buildings and facilities; use renewable technologies that reduce energy consumption; and participate in energy audits, renewable energy development assistance, and feasibility studies. Provides home ownership opportunities to low- and moderate-income rural Americans through several loan, grant, and loan guarantee programs targeted specifically to the needs of rural communities and households. The programs also offer funding to individuals to finance vital improvements that will make their homes decent, safe, and sanitary. Multifamily housing loans, loan guarantees, grants, and rental assistance. Some funds may also be used to buy and improve land and to provide necessary facilities such as water and waste disposal systems. The REDLG program provides funding to rural projects through local utility organizations. 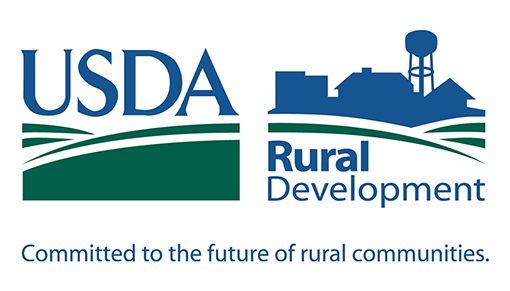 Under the REDLoan program, USDA provides zero interest loans to local utilities which they, in turn, pass through to local businesses (ultimate recipients) for projects that will create and retain employment in rural areas. Provides direct or guaranteed loans, grants, technical assistance, research and educational materials for rural development initiatives. Provide guarantees on loans made by private lenders to help new and existing businesses in rural areas gain access to affordable capital. By issuing a guarantee, USDA essentially co-signs the loan with the recipient, lowering the lender’s risk and allowing for more favorable interest rates and terms. Provides loans to local organizations, or intermediaries, for the establishment of revolving loan funds. These revolving loan funds are used to finance business and economic development activity that creates or retains jobs in disadvantaged and remote communities. Supports small business development in rural areas. Loans and grants are provided to Microenterprise Development Organizations which in turn provide loans and technical assistance to microentrepreneurs—including farmers—for developing their businesses. Loans may be used for working capital, debt refinancing, business acquisitions, and to purchase equipment or real estate, and grants support technical assistance and training. A variety of programs to support drinking water, sanitary sewer, solid waste, and storm drainage facilities in rural areas and cities and towns of 10,000 people or less.